The must-know facts about carbon monoxide. If you don't recognize the symptoms of CO poisoning, you may not receive the medical attention you need. You're not just at risk inside a boat. Knowing all the possible places where CO may accumulate could save your life. CO poisoning is preventable. Here are specific steps you can take to help prevent carbon monoxide from harming you, your passengers, or fellow boaters. A checklist for every trip, plus a monthly and annual checklist. They're easy for you to print and use. 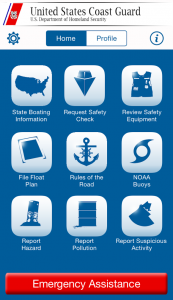 Brochures, photos, posters, and other tools to help increase awareness about carbon monoxide and recreational boating.